Know what time or date it is. Be able to wake up from an alarm every morning. Be able to order food. Really? I mean, the first and second points are understandable, but: ‘Be able to order food’, of all things?! Well, yes, you read it right. In this day and age, when a mobile phone has become akin to one of the basic necessities of life, it can even order food for you. What’s more, it can give you endless choices regarding the same. Don’t believe me? Read on. 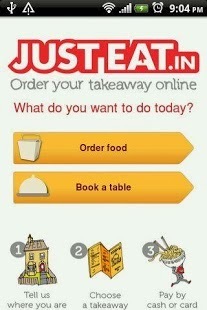 Well, I’m talking about the Online Food Ordering Apps on JustEat.in. Recently, while I was travelling, I got a chance to use their Android food ordering app. 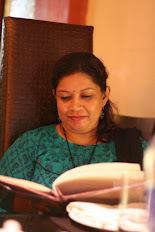 And was left so impressed that the least I could do was write about it to let you all foodies know about it. Ø User Interface: First things first, the app has a beautiful user interface; very user-friendly even for first-time users. The first screen asks you whether you wish to ‘Order Food’ or ‘Book a Table’. I selected the first option and was greeted by the message: ‘How would you want to search your restaurant?’ followed by three options: ‘Nearby’, ‘My Favourite’ and Search by Location’. The third one was what I selected and lo and behold! I got a list of all the locations in Bangalore! Ø Restaurant Details: Select an area and you’ll get to view all the vegetarian and non-vegetarian restaurants located in that particular location on your mobile screen (evident by the green and red symbols alongside each). Plus what cuisine it predominantly is, plus the minimum delivery amount, plus the rating, plus plus plus…! 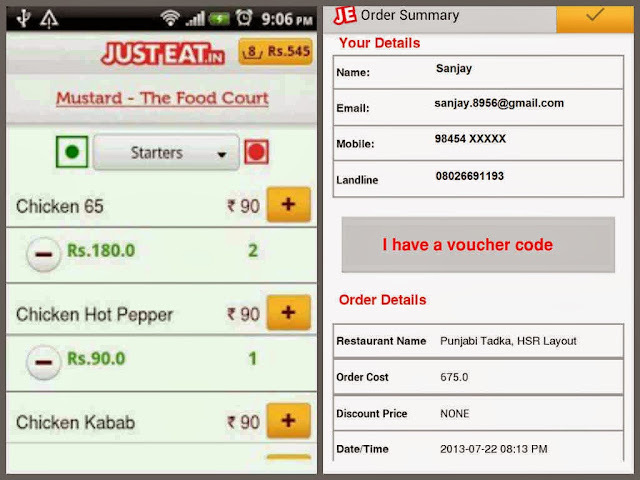 Oh, and did I mention that it also tells about whether the eatery accepts online payment along with cash on delivery too? 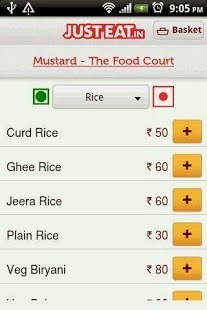 Extremely informative and convenient while selecting a restaurant. 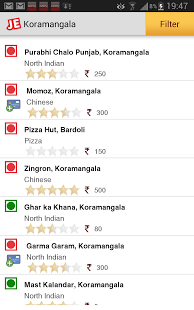 Ø Restaurant Filters: This enables you to shortlist restaurants based on the minimum delivery amounts, whether you want to go for pure vegetarian only, a particular cuisine, or online payment enabled restaurants. Useful when you have certain constraints while ordering your food. Ø Add items to basket and you’re done! Yes, as simple as that. You could even select the date and time when you want your food delivered – next weekend at precisely 8 pm, for example. Add any specific instructions in the box, click on ‘Place Order’ and you’re done – as simple as that! You will get your order summary immediately. 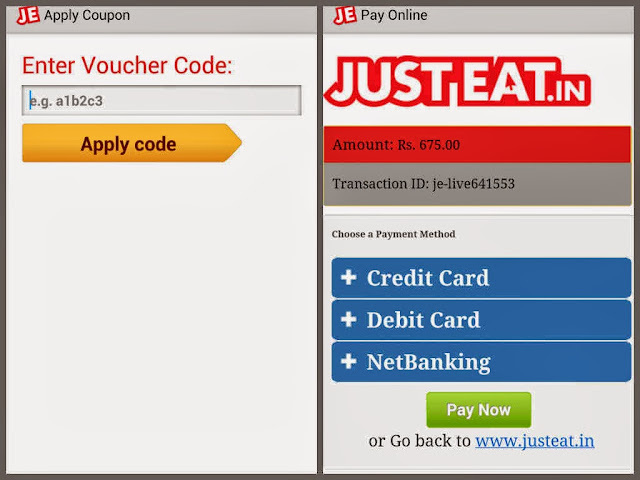 Ø Special Feature – Discount coupons: These offers keep coming up on the JustEat.in website from time to time and can be availed on all online payment restaurants with JUST EAT. A special 30 percent off offer was on when I had ordered, and I got a whopping 150 rupees off on my order! Perfect value for money. The best thing of all? These JUST EAT online food ordering apps can be downloaded for FREE from their respective app stores – Android, Windows 8 or iPhone. Overall, I loved the simplicity of the execution of placing orders through the app – be it selecting items from the menu to the online payment option to everything else. Ideal for foodies who love fooding away, on the go!